The Texan football team fell victim to No. 20 University of North Alabama Saturday, 44-7 ending their regular season. The Texans, 7-3 came into the game ranked No. 6 in the NCAA Super Region four rankings. They will now have to wait and see if they earned a berth into the NCAA Division II playoffs. It was a rough day for the Texan offense as they struggled moving the ball. Jake Fenske was pulled early for the Texans after going two for 10 for just 6 yards and one interception. Collin Strahan took over for the rest of the game at quarterback. 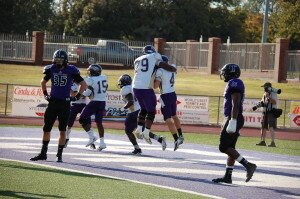 UNA, 8-2, scored the first 17 points of the game before the Texans found the end zone. Bubba Tandy caught a 19-yard pass from Strahan for the only score for the Texans. The Lions continued to score 27 unanswered points en route to 501 total yards of offense led by running back Lamonte Thompson rushing for 113 yards on 17 carries. Quarterback Luke Wingo completed nine of his 14 passes for 174 yards and two touchdowns. Strahan finished the contest completing eight of his 15 passes for 135 yards and one touchdown. Clifton Rhodes III led the team in receiving pulling in just two catches for 58 yards. Jerome Regal led the Texans on the ground carrying the ball 10 times for 59 yards. 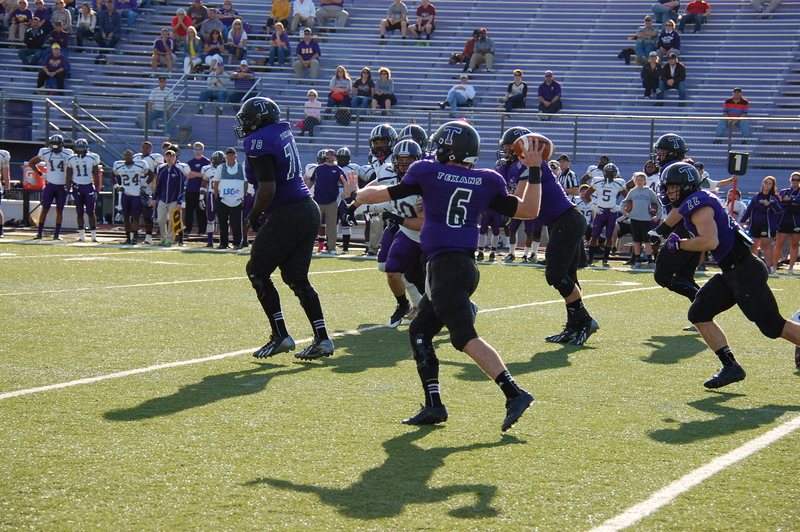 Right behind him was Zach Henshaw carrying the ball 13 times for 50 yards. If the Texans do not make the NCAA Division II playoffs, they could possibly get a bowl birth in the Heart of Texas Bowl to be played Dec. 7 in Copperas Cove, Texas.